The Patient Financial Services department works with you and your insurance company to expedite payment for your services. The hospital accepts responsibility for submitting the initial claim to your insurance company and will work with them to ensure timely payment. 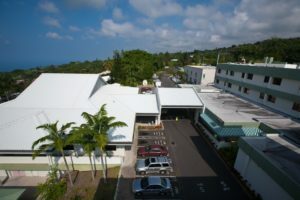 Once payment is received Kona Community Hospital will send you a separate statement (bill) for each hospital visit/encounter that has an unpaid balance. These will be sent in 30 day intervals and payment is expected upon receipt. Please remember that whether you have insurance or not, you have the final responsibility to pay the balance after your insurance pays or if no insurance, you are responsible for payment for all services you receive. Should you have difficulty paying your bill we have several payment options available to assist you. You may even qualify for financial assistance which can result in reducing the amount you owe. This assistance is based on financial need and you will need to complete an application to be considered. Please contact our Financial Counselor at (808) 322-5813 for assistance. Charges for other services, which include items your physician orders for you, such as x-rays or laboratory tests, pharmacy charges, etc.